I love this and hope to see more Disney paintings! There will certainly be more Disney coming. I have a few on the drawing board waiting for some paint as we speak. And thank you for the comment, Rebecca! Beautiful colors & modeling, and great whimsy! Thank you very much Ruth. 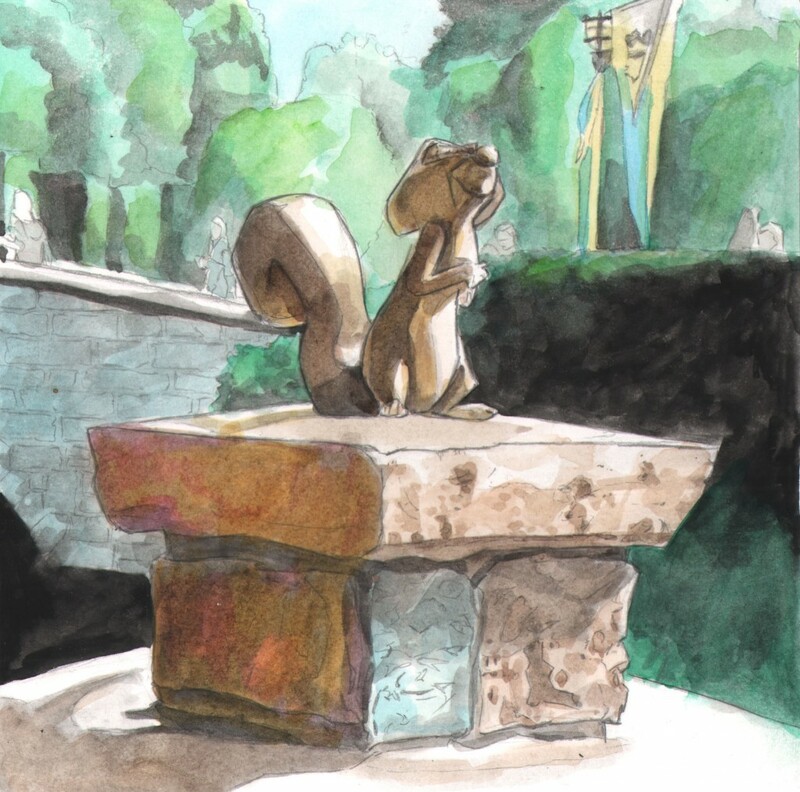 I was really trying to get some really warm colors into that shadow side of the squirrel and the pedestal.